There are certain conditions which must be adhered to for a valid marriage between two Hindus under the Hindu Marriage Act, 1955. 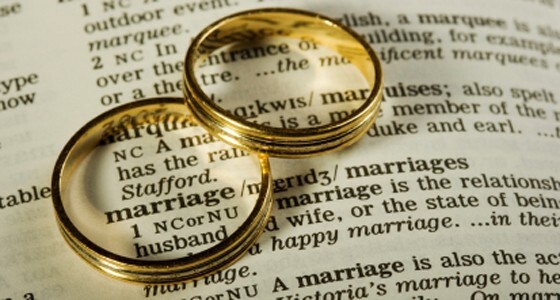 Violation and non-adherence of any of these conditions would not constitute a valid marriage. First of all, the groom should have completed the age of 21 years while the bride should have completed the age of 18 years at the time of their marriage. In case, either the groom or the bride was not of the requisite age at the time of marriage, then the same would be termed as a ‘Child Marriage‘. However, such a marriage would not be ‘void’ in the eyes law, but would only be a ‘voidable’ marriage and that under the Prohibition of Child Marriage Act, 2006 the aggrieved person can file a petition before the appropriate Court for getting the marriage annulled. The next condition is that neither the groom nor the bride should have a living spouse or an existing valid marriage, at the time of his/her marriage. In case a marriage is solemnized while there is a living spouse or that the earlier marriage has also not been set aside by way of a decree of divorce/annulment, then such a marriage would be ‘null’ and ‘void’ from the very beginning and that a decree of nullity can be obtained by filing a petition under the Hindu Marriage Act, 1955. It is also important to note that in such a marriage, the person who had a living spouse or an existing marriage, would become liable for prosecution for adultery under the Indian Penal Code. It is also an essential condition that both the bride and the groom should be capable of giving a valid consent for the marriage. The consent should not have been obtained by fraud, misrepresentation, intimidation or persuasion. It is also important that neither the groom or the bride should be suffering from unsoundness of mind or any kind of mental disorder so as to render the person incapable of giving a valid consent to the marriage or be mentally unfit to marry. Such a marriage would be a ‘voidable’ marriage and can be annulled by a decree of nullity under the Hindu Marriage Act, 1955. Now one of the key factor for a valid marriage under the Hindu Marriage Act, 1955 is that the groom and the bride should not be ‘within the degrees of prohibited relationship‘ if they are related to each other and should also not be ‘sapinda‘ of each other. For simple understanding, a person cannot have a valid marriage with his/her mother, father, grandmother, grandfather, brother, sister, uncle, aunt, nephew, niece, first cousins and any other close relationship similar to these. The only exception would be if the personal custom and usage governing the persons permits just a marriage but these customs must not be unreasonable or opposed to public policy or abhorrent to decency. If all the conditions mentioned above are satisfied, then a marriage between a groom and a bride would be considered as a valid marriage in the eyes of law under the Hindu Marriage Act, 1955. Disclaimer: This article is not a substitute for professional legal advice. This article does not create an attorney-client relationship, nor is it a solicitation to offer legal advice. If you like what I write, please spread the word by sharing it on your social networks as well. Thank you.